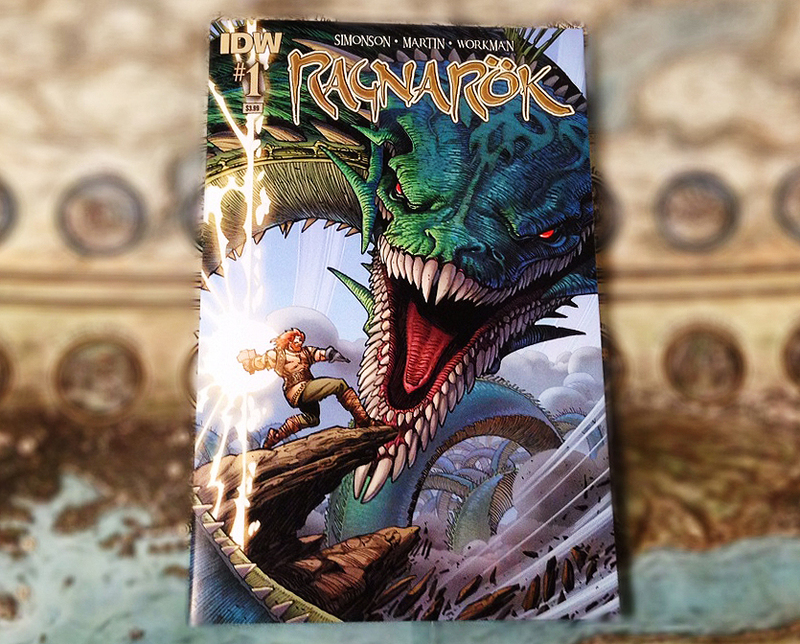 Ragnarok #1 comic by Walt Simonson released by IDW publishing. 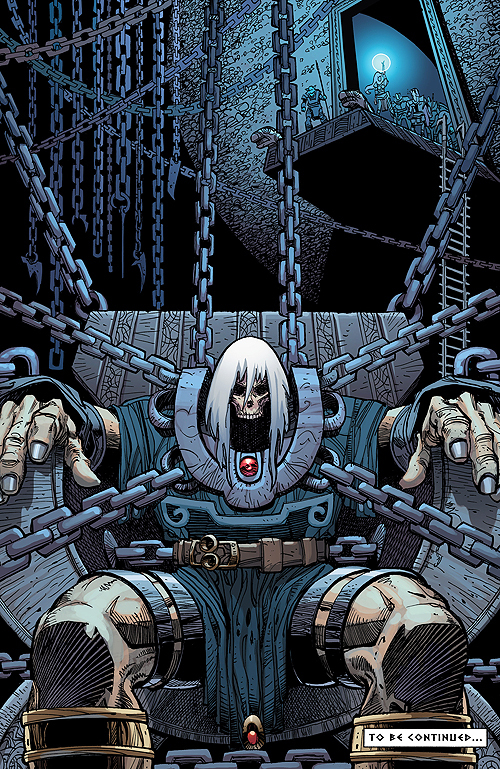 Walt Simonson’s newly released Ragnarok comic book series is billed as the artist’s return to stories based on Norse mythology, but the comic feels more like an epic sword and sorcery fantasy more than anything with brief glimpses of (a) Thor that’s anything but what Simonson’s fans remember of his classic tenure decades ago with Marvel comics. With all that said, I think the first issue, released by IDW, is one of the best fantasy comic books I’ve ever read. Truth be told, when I started getting into collected graphic novels several years ago, the closest thing to fantasy I bought was the critically acclaimed Sandman series by Neil Gaiman with my tastes geared towards classic and modern superhero comics and independently produced ones. I’ve tried recent fantasy comic book series like Forgotten Realms by IDW and Paizo’s Pathfinder, but for one reason or another those series just didn’t grab my attention for me to further follow the series. From the onset, Simonson’s Ragnarok #1 had me hooked. The artist is firing on all cylinders in the prologue showcasing an amazing climactic battle involving unique renditions of familiar Norse gods and pitting the most famous one against a giant green dragon. If you didn’t know what the basis of the series was, the first few pages might have given you the impression that the series was a straight up fantasy tale in the vein of Lord of the Rings. 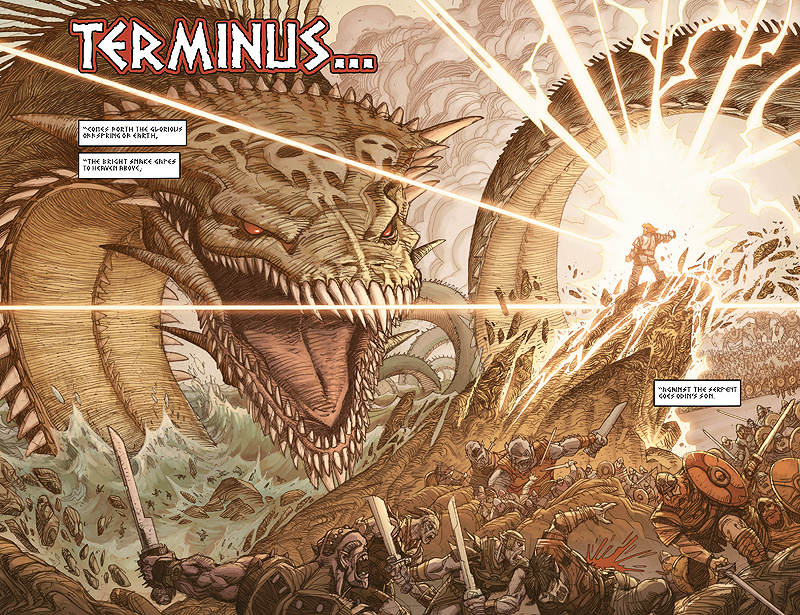 A double page spread featured in the prologue to Ragnarok #1 by Walt Simonson and released by IDW. Brynja, the black elf assassin, from Ragnarok #1 by Walt Simonson. Following the epic prologue, the issue then tells the tale of a black elf assassin named Brynja who is tasked with “killing a dead god” in order for her daughter to have an immortal life. On the way to the Fortress at the Edge of Worlds, where her target lies, she meets with her would-be and questionable benefactor and employs some monster assassins to assist with her final kill. There’s a lot of action and high drama throughout the story with Simonson’s stellar draftsmanship and layouts providing a perfect vehicle for this fantasy tale. Ragnarok feels like it could’ve been written during Simonson’s days on Marvel’s Thor but with more of a slant towards the sword and sorcery edge rather than the superhero side of things. I’m pretty excited to see what Simonson’s got up his sleeve for the next installment in this fantasy comic book series. It’s a genre that I was apprehensive of reading in the comic book form, but Simonson’s got a pretty good handle on this subject. Brynja’s target from Ragnarok #1 by Walt Simonson.